The Great Smoky Mountains national park is known as one of the best places to hike in the United States as it has more than 1,000 miles of designated hiking trails, manways, abandoned and active roadways. 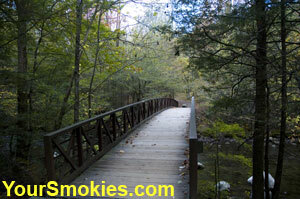 Most of the hiking trails in the Great Smoky Mountains National Park have ruts, jutting rocks and other obstacles that may also require water crossings either on footbridges or by wading and rock hopping. 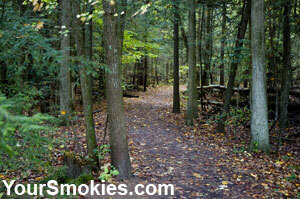 People with mobility issues may find that many of the hiking trails in the Great Smoky Mountains national park can be too difficult as they are rugged and can be quite steep and a challenge for any hiker. Sometimes hiking trails may require that you climb over newly fallen trees, or may navigate potions barely wider than the width of a footstep with steep edges, no railings or guide lines. People with impaired vision may have significant issues on hiking trails without the assistance of a guide or service animal. 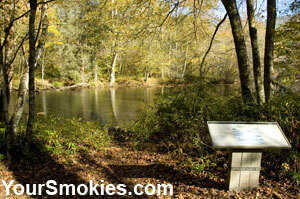 Oconaluftee N Carolina River Trail is accessible. 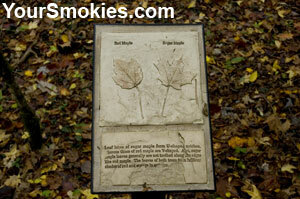 The park service only recognizes the Sugarlands Valley Trail as accessible however I would highly recommend 4 trails in the Great Smoky Mountains national park as assessable for persons with mobility issues using a wheelchair or visually impaired persons can traverse on their own or with minimal help. 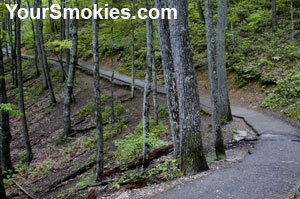 There are also 2 paved trails in the Great Smoky Mountains national park both of which are very steep. For persons who are confined to a wheelchair to use either one of these trails (the Laurel Falls Hiking Trail and the Clingmans Dome Hiking Trail), they must be highly functional in their mobility and even then may still require considerable assistance - especially on the Clingmans Dome Hiking Trail. Dogs are confined to only 2 hiking trails in the park, the Gatlinburg Hiking Trail and the Oconaluftee River Trail, but working service animals (dogs or horses) are allowed and all of trails. Hiking Trail Status: Closed for construction until further notice. 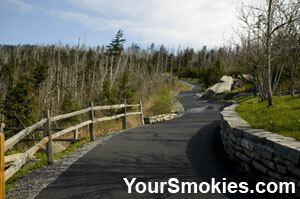 Clingman's Dome Trail is paved but very steep. Trail Condition: Passable with surface damage, cracks and ruts, quite steep with significant drop offs. Trail Warning: Persons using this trail with a wheelchair must be highly functional in their mobility and may still require considerable assistance. Trail Condition: Excellent but extremely steep.